For 10 days beginning on Aug. 4, some of the best athletes in the world will be competing in London at the IAAF World Track & Field Championships. Among the elite, and wearing the singlet of Team USA, is our own Johnny Gregorek, a former all-stater from Seekonk High. Since graduating from high school in 2010, Gregorek's career has skyrocketed! He enjoyed a stellar collegiate career, competing for Columbia University and as a fifth-year senior at the University of Oregon. 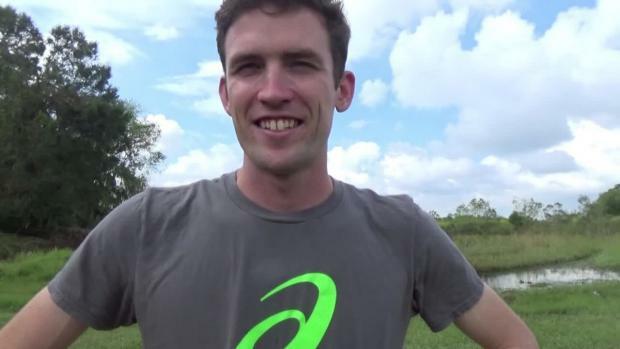 In 2015, he broke four minutes in the mile for the first time, joining his dad, two-time US Olympian John Gregorek, as one of the few father-son duos to achieve the "Sub-4" milestone. The younger Gregorek's most recent accomplishment to earn his ticket to the Worlds occurred as a result of his third-place finish in the 1,500-meter run at the USATF Outdoor Championships on June 24 in Sacramento, Calif. And he did it in dramatic fashion, coming back from tenth place with a lap remaining to claim the final spot that's heading to London. 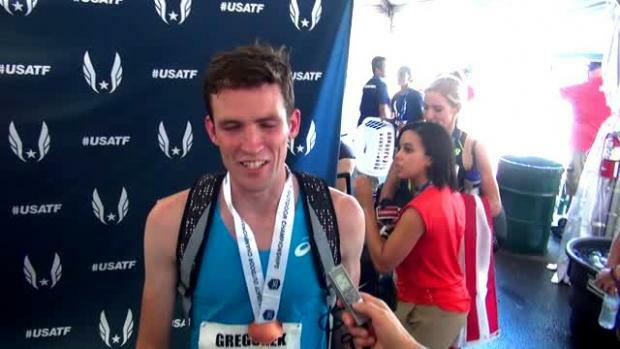 MileSplit MA caught up with Gregorek in its latest Q&A feature. 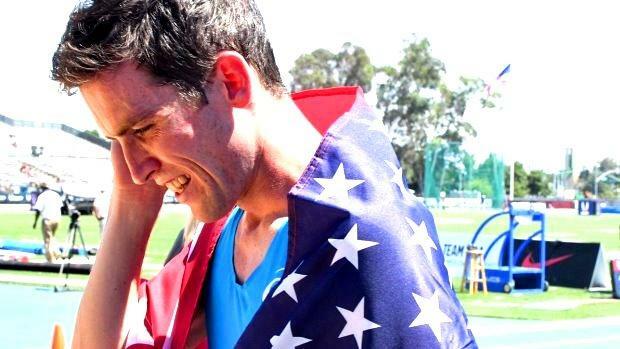 Check out what he had to say about his race in Sacramento, his plans for next month's World Championships and his thoughts on his career. MileSplit MA: Talk about competing in the IAAF World Track & Field Championships? How does it feel to make the trip to London and compete with the best in the world? Johnny Gregorek: Qualifying for the World Championships was certainly a highlight in my career so far. I don't want to say it was a dream come true because it was something I fully believed I could achieve so it's more like an extreme vindication of hard work and sacrifice as a professional runner. I couldn't be happier to be representing the U.S.A. for the first time internationally on such a grand stage. However, qualifying for worlds is only important because it's a stepping stone to being a competitor on the world stage. Now that I've made it to this stage, I have to be more focused and in better shape than ever. As you said, this is a competition against the best in the world and I'm intent on respecting that fact. The real fun lies in my opportunity to chase a championship medal and prepare myself for future experiences on the world stage. MS: Speaking of the World Championship, how were you able to make it possible earning the last qualifying spot by taking third at the USATF Championships? You were in tenth place with a lap remaining, and then you unleashed this monster kick. What was going through your head as you were approaching that final lap? Did you ever think it was possible? What was your race plan? Was it to hold back in the early parts of the race, or is that just how it happened? JG: The final at USAs is definitely a blur and, although I'm happy with the outcome, I wouldn't say it went exactly the way I planned. I wanted to be close to the front when the decisive move of the race was made but I caught some stiff elbows and found myself closer to the back. However, this worked partially to my advantage as many runners started tying up over the last 200 meters. I just kept giving it everything I had to catch another guy throughout that last lap. I definitely hadn't given up on the team and as I caught each runner in front of me I gained more confidence. Finally, there was 100 meters to go and I saw the team was there for the taking if I wanted it bad enough. I just never gave up because I knew I had worked so hard and so many people had my back and were pulling for me. I didn't want to let them or myself down. MS: You were a very good runner in high school when you competed for Seekonk from 2006-10 with PRs of 4:20 for the mile and 9:19 for two miles. But your career really took off once you became a collegian, competing at Columbia University and then at Oregon. It was there that you really made a name for yourself as an elite runner. What do you attribute that success to? Is there any particular race that you feel may have been a breakthrough performance? What would be your advice to a high schooler making a similar transition to the collegiate level? JG: I would say I attribute my success to all of my coaches really. Each one of them prepared me uniquely to get to the next level. My high school coach in Seekonk, Eli Mello, didn't overwork me but also stopped me from screwing around and explained that it takes real dedication to be a successful athlete. 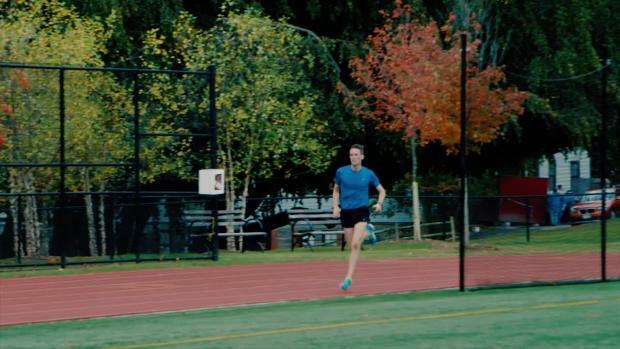 My college coaches at Columbia and Oregon, Willy Wood, Will Boylan-Pett and Andy Powell, brought me to a new level each year by giving me increasingly sophisticated training and racing advice. Finally, my current coach Frank "Gags" Gagliano has made me truly believe I can compete on the international level. So it's there help and the help of my teammates that has enabled me to slowly but surely progress. Other than USAs, I dont think there has been one breakthrough performance in my development. It has mostly been small steps and the accomplishment of increasingly larger goals. If I were to give any advice to a high school athlete transitioning to college. I would suggest they put value in the things that helped me progress in the sport. This includes finding a coach who you know is invested in you and teammates who keep the process fun. MS: Your parents, John and Christine (Mullen) Gregorek, were great runners in their heyday. Among other accomplishments, your father was a two-time Olympic steeplechaser and your mother was a two-time national champion at 600m and 1,000m while competing at Georgetown. I read in an article back in 2009 that your parents never really pushed you into becoming a runner, knowing all the sacrifices that would be needed to become successful? Why did you decide to go the same route as your parents? JG: I have gone the same route as my parents because it is enjoyable. It's something that I am improving in, I enjoy the competitive aspect, I get to travel the world and I'm constantly getting to spend time with really cool people. Also, with the help of my sponsor, ASICS, it has become a way to make a living while competing to do what I love. I imagine my parents went down this road for similar reasons. However, they continue to be the best at balancing being parents as well as mentors in the sport. They provide advice when needed, but never intrude on my training or the advice of my coaches. MS: On Feb. 14 at the 2015 Millrose Games, when you finished tenth in the Wannamaker Mile with a time of 3:57.47, you and your dad joined a very short list of father-son duos that have broken four minutes for the mile. Talk about that experience and how it felt when you crossed the line. Now, I believe, you and your dad are unofficially the fastest father-son duo after you clocked a PB of 3:53.15 at Boston University this winter. That, combined with your dad's 3:51.34 in 1982, has put you guys at the top of the list. JG: Breaking four minutes, as well as lowering my PR to become the fastest duo along with my father, was a great feeling. After growing up knowing my dad was a great runner, it was a lot of fun to share in that history and add to his legacy. It's not something I really think about often, but it's nice to have carried on a tradition. MS. Finally, what is your goal in London, and good luck? JG: My goal in London is to stay relaxed and treat it as I would any other race. I will run to win and beat as many people as possible. Also, I'll have fun doing it.